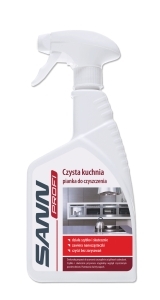 Clean kitchen – Foam Cleaner – suitable for cleaning kitchen surfaces. Instant and effective – perfectly removes toughest stains and greasy dirt. Restores original appearance of the surface, releases pleasant fragrance. 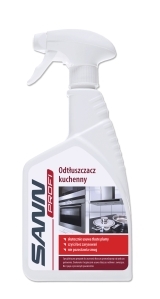 Kitchen Degreaser - concentrated degreasing product. Easily removes old sediments of animal and vegetable fats. Restores original appearance of the surface, releases pleasant fragrance. helps to maintain cleanliness.